This is a sprint, don’t get it mistaken. Limited time means combat fishing. A quick infiltration at the right time of day, working hard, quickly covering ground, and breaking contact. You get a taste of a species at its prime or the peak of the day and revel in it on your drive home. 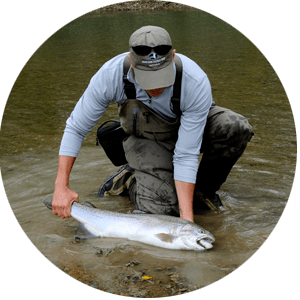 These guided fly fishing trips are for those anglers who want a little something special to fill up part of the day. Call us and we’ll tailor one for you. Calling this a marathon may be a little dramatic but we will definitely cover ground on these guided fly fishing trips. Time is important in fishing. Sometimes it takes a bit for people to relax when they get on the water – to calm the nerves and register that you actually found the time to fish. Other times people need that extra bit of instruction to get them dialed in. Still others need the full day to fish at a comfortable pace and take it all in. Whatever suits you best – the longer we can be on the water, the better. We offer a variety of guided fishing trips & charters throughout the Buffalo Niagara Region during winter, fall, summer and spring. We may be a little biased but there isn’t a better way to see what the Buffalo Niagara Region has to offer than from the water. 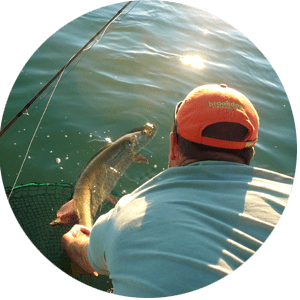 Our fishing trips and charters on eastern Lake Erie, the Niagara River, the Lake Ontario bar, and the tributaries that feed it all are world class. These fishing trips will put you in front of some amazing landscapes and big fish. The best thing about the Buffalo Niagara Region is that the fishing isn’t technical – unless you want it to be. 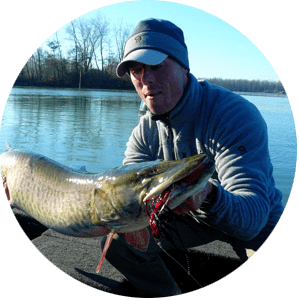 Often times, people ask us, “Who’s your perfect client?” The answer is easy – anyone who is interested in fishing. We guide people of all experience levels. From people that have never held a fishing pole to skilled fly anglers, opportunities abound for all. Although we can’t control Mother Nature, we can control you’re experience with us. After a day on the water with us, you’ll walk away refreshed, a little smarter, and hopefully wanting more. Don’t have a boat but want to fish water that requires one? Give us a call. Do you want to learn a new technique? We have you covered. Are you looking for something to do with a little vacation time? We can’t wait to meet you. Do you want to build camaraderie among team members from work? Let’s do it. 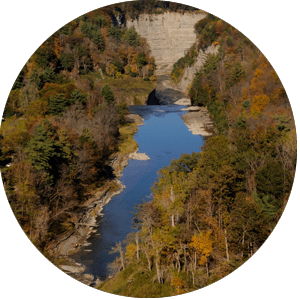 You’re visiting the area and want to see it from a different angle? Drop us a line. No matter your interests or experience level, we have a guided trip or charter for you. Please take some time to explore all of the links below for a more detailed description of the services we provide.